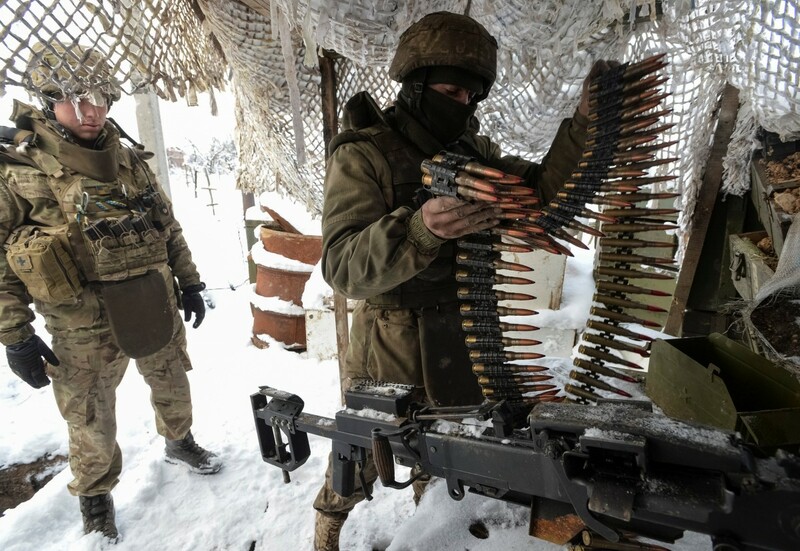 Russia's hybrid military forces continue shelling Ukrainian troops in Donbas, eastern Ukraine, using proscribed weapons; one Ukrainian soldier was wounded in action in the past day, according to the press center of the Anti-Terrorist Operation (ATO) Headquarters. His condition is satisfactory and there is no threat to his life, the ATO HQ wrote on Facebook on Saturday, January 6. Read alsoDonbas war update: First day of 2018 doesn't bring peace"A militant attack on Ukrainian strongholds near the Svitlodarska Duha bulge in the Luhansk sector with the use of 120mm mortars and large caliber machine guns lasted for almost an hour late last night," the ATO HQ said. Ukrainian troops stationed near Butivka coal mine in the Donetsk sector came under fire from grenade launchers and small arms in the first half of the day, then the enemy opened fire from 82mm mortars. Ukrainian troops did not fire back.